Anyone know anything about a Bakers - Samuel Plowman was the owner...? there was a bakers opposite called purdys if thats the one you mean. 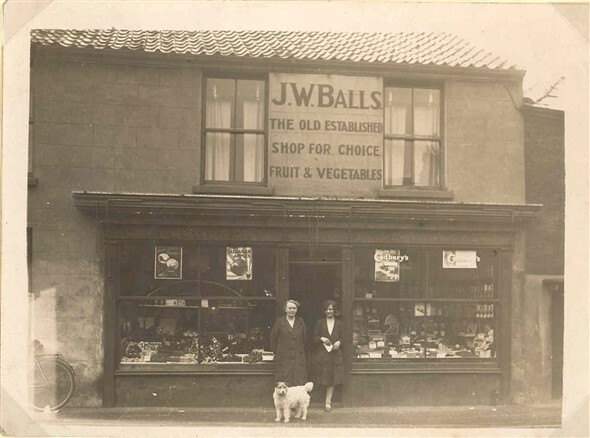 My Great Grandfather was Edgar Samuel Balls. He lived just off Blackfriars Road in 4 Tower Cottages, Garden Lane with his Mother Emily Balls near Godfrey, from Sheffield and his Stepfather John Vincent. Can anyone tell me if they were related, maybe cousins as they were the same age? David Ball, do you have any other info on Emily Balls near (nee?) Godfrey 4 Tower Cottages Garden Lane? Are you saying that 'she' came from Sheffield? My Father was born in John St Yarmouth and his name was Godfrey. I cannot find John St on the map! Can any one tell me where John Street was about 1915? It was off Garden Lane which was off Blackfriars Road. The Fire Stn on Friars Lane now stand where John St was. I sorry to correct you but the fire station does not stand where John Street was. I lived on John Street for approx. 10 years and John Street was a small row of 14 house seven on each side which led off Charles Street. The main entrance to Charles Street was off Blackfriars Road and John Street was on the left of Charles Street just past the entrance to Adam & Eve Gardens.